The HT5 are the surround speakers in the JBL HT Series. As surrounds, they are perfectly fine. However, as HiFi main speakers, I find the clarity is somewhat lacking. Vocals are not well isolated from the mix. On top of that, there’s some boxiness in the male voices whereas female vocals sound slightly nasal. This modification will resolve all these issues. I was quite surprised with the 5.25″ midwoofer. The Fs is 166Hz. I believe JBL chose such a high Fs because they wanted an early roll-off. Remember, the HT5 are surround speakers. In Home Theater systems, the surrounds are normally rolled off at 80Hz (-3dB) because bass is not required. Fig 2 – JBL HT5 RAW Response of the Woofer and Tweeter. Measurements below 500Hz include room reflections. The Black plot in Fig 2 is the Raw response of the midrange driver. See how early the bass rolls off. Because of this, there’s no necessity to use a large value capacitor to roll off the low frequencies. Higher up the frequencies, there is a 5dB rise from 500Hz ~ 2.5kHz. That’s the effect of baffle step. At 5kHz, the driver cone starts to breakup. The Red plot is the Raw response of the bi-radial horn tweeter. It is exceptionally smooth. No peaks and nulls anywhere. Moreover, the roll-off from 3kHz to 15kHz is constant and linear. This is a very well designed horn tweeter. 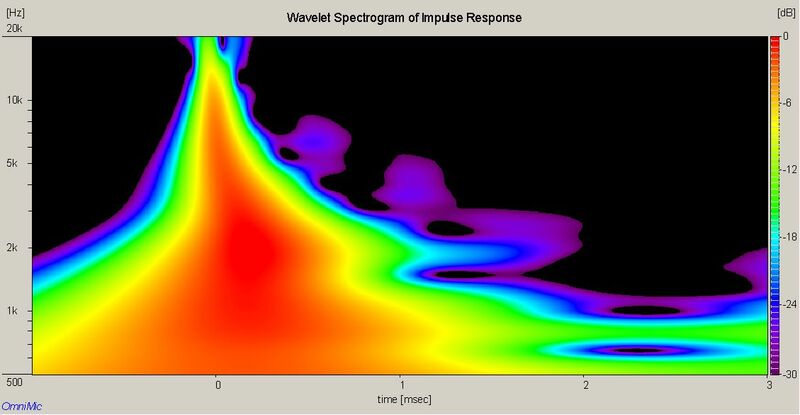 Fig 3 shows the modified midwoofer response (Blue plot) and the horn tweeter (Red plot). Acoustically, the two drivers are crossing at about 2.5kHz. The Blue plot in Fig 4 is my modified response to enhance the midrange. It is similar to the original JBL HT5 response (Black plot) except for a slight increase in SPL from 400Hz ~ 3kHz. Despite the midrange cone breakup, the Waterfall (Fig 5), Toneburst Energy Storage (Fig 6) and the Spectrogram (Fig 7) all indicate excellent damping in the crossover region. There is nothing unusual in the Modded HT5 Harmonic Distortion plot. The 2nd (Red) and 3rd (Violet) Harmonics are about -55dB below the fundamental. Measurements below 500Hz are inaccurate as they include room reflections. Fig 9 shows my modified JBL HT5 system. It is a purely passive bi-amp setup. There are no electronic crossovers. This is possible because bandpass subs already have a low pass build-in. Nonetheless, I recommend installing a 3mH inductor at the bandpass input to roll-off the midrange before they enter the sub. This will reduce the midrange emitting from the bandpass even further. If you use active subwoofers, set the crossover in your sub at 125Hz. I am rather pleased with the way the mod turned out. From indigestible to actually enjoying my music. This is the way I like my audio to sound like. Good separation between the subwoofer bass and the midrange, a slightly forward midrange with no veil and no nasalness in female vocals. I can’t ask for more. If you want to know what nasalness is, listen to the Girl in the Other Room (Diania Krall) with the JBL HT5. She sounds like her nose is blocked. If you’re interested in this modification, kindly send me a mail for the crossover and the Dayton SD215A-88 Bandpass Sub dimensions. You agree to undertake this modification at your own risk. I am not responsible for any damage to your speakers.